Tucked in a corner of the Mall and where Nehru Road begins, Main Olde Bellevue Hotel offers a lodging only accommodation and amenities at par with 2-Star category. Do not confuse this with The Bellevue Hotel which is located in front of this one and run by the elder brother. 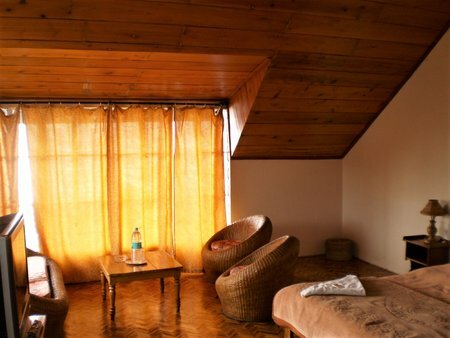 This hotel is owned by the younger brother Siddhartha Gyaltsen and has a separate management. There are actually two wings to this hotel. The building in front is a relatively newer building. The Heritage building is located to its left and on an elevated land. 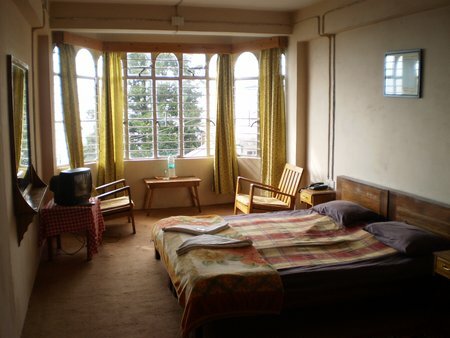 If you are looking for a modern room with nice views of the mountains, then go for the newer building. The heritage building was constructed in 1870s during the British Raj days and retains the old colonial charm. Earlier it was owned by a British lady who sold it to the family of the present owner in 1942. There are 21 rooms in the new building. As you can see from outside, the building has slanted triangular roof. The reception area is at the ground floor. There is lobby in front of the reception counter which is wooden finished and looks impressive. 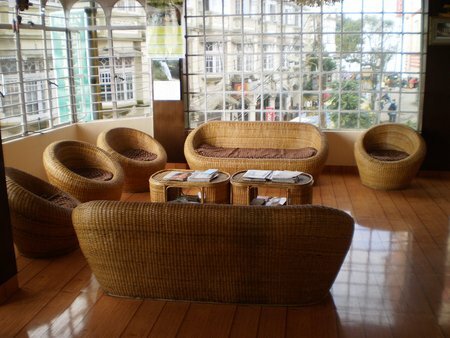 There are wicker sofas with cushions and tables that are laid out at the corner of the lobby. You can see the huge Pine Ridge Hotel on the other side of Nehru Road and also the Mall at a distance from the lobby. Behind the reception, there is a corridor with tiled floor having few rooms on one side. At the end there is an wooden carpeted staircase that goes to the upper floors. There are three types of rooms in this building starting from Budget rooms in the first floor, Deluxe double rooms in the second floor, and Attic suites in the top floor. Most rooms in this building have nice views of the mountain range and snow peaks. However, you need to be here in the right season to get the views on a clear day. The highlight of the new building is its attic lounge in the third floor. It's a marvelous lounge area with sloping wooden ceiling. A part of the ceiling is made of glass. A beautiful chandelier hangs from the middle of the ceiling. There are few sofa sets that are laid here including cane sofas with cushions that are well synergized with the interiors. You can have a great view of the Mall from the lounge area. On a clear day, you can see the Eastern Himalayan Peaks including the snow capped Kanchenjunga from here. Overall an impressive ambience. The attic suites on the third floor are special. The rooms have slanted wooden ceiling. The large windows open out to wonderful views. 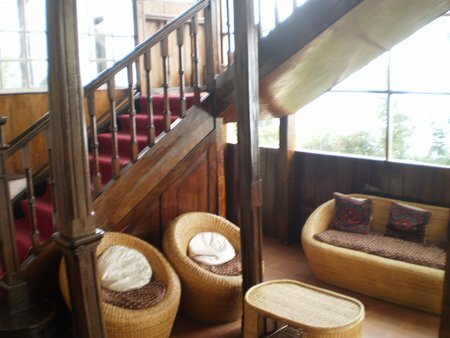 The rooms have wicker sofas next to the window where you can relax and watch the views. The entire attic area in the third floor is non smoking zone, that's probably because of the wide scale application of wood in this area. 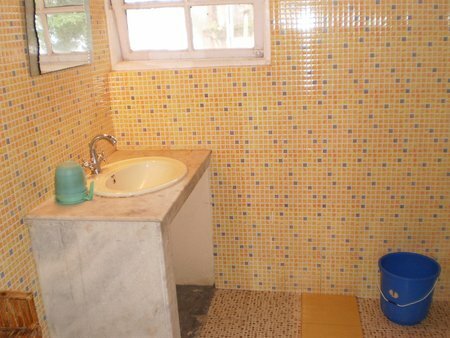 There is nothing special about the bathrooms which are of western style and are of standard size. The walls in the bathrooms are tiled. 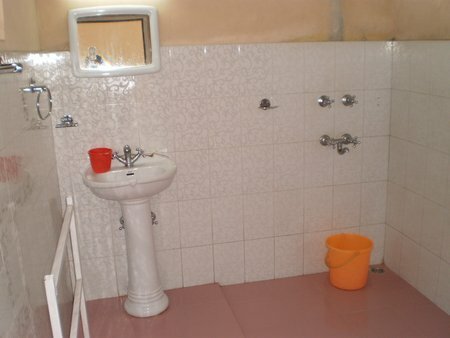 There is a small mirror, a stand wash basin, a simple mixer on the wall for hot and cold water. 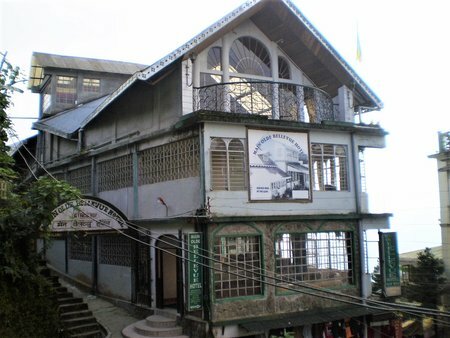 The heritage building which was built in the British colonial time is located on the left of the new building at an elevated level. You will need to climb a series of narrow steep stairs to reach up to the property which has a wonderful adjoining lawn. It's a two storied white building with a tinned sloping roof. There are 11 suites and 4 large rooms in this building. In the ground floor there is a nice little lounge area with wicker sofas and chimney fireplace. There is an carpeted wooden staircase on one side that leads to a covered balcony in the upper floor. On the other side of the lounge and next to the entrance is a counter and a small area where the staff of the heritage wing are normally available. There are rooms on both the floors. 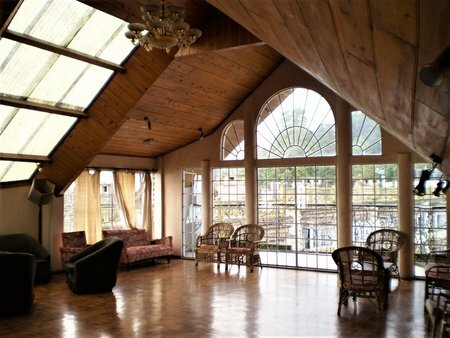 I like the ones on the upper floor as the view of the mountains and the Darjeeling landscape from here is magnificent. 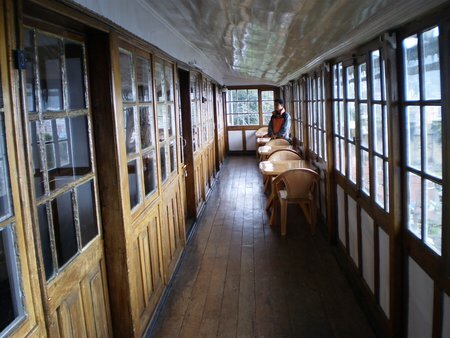 The long balcony with wooden floor has glass windows on one side that open up to the scenic views. There are plastic tables and chairs laid out here for you to enjoy the views. There are series of rooms on the other side of the balcony. The last corner room (no. 6) is my favorite which is at the end of the passage. All rooms are of suit type. There is a small seating room in front having sofas, followed by a larger bedroom and then the bathroom all in a line. The rooms do not have any separate windows. You will need to come to the balcony for the views. There is a fireplace in the room. Outside and in front of the heritage building, there is another small cottage with glass windows that is used as a kitchen for preparing tea etc, but no food is served. 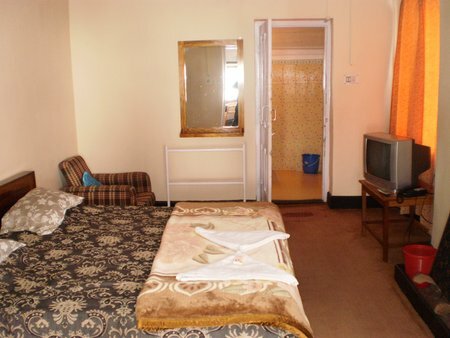 The rooms in both the buildings have standard amenities like TV with satellite channels, intercom telephones, running hot water (subject to power availability) etc. They provide electrical heaters at extra charge. You can also bargain some facilities with them at the time of booking like tea or coffee makers etc. The hotel is located right at the corner of the Chowrasta Mall and where the Nehru Road begins. This is where the main shopping area is located and the Mall itself is a great tourist attraction. This is a central location from where most of the other attractions in the hill town are easily accessible. The heritage wing offers a stay where you can still find the colonial charm. However the building needs some more maintenance. The furniture are old and are showing clear signs of aging in some rooms. The rooms in the new building are comparatively more modern and the furniture are also newer. Main Olde Bellevue Hotel is a lodging only accommodation and does not serve food. You can ask the waiter to bring food for you from outside which they oblige. However, they do not consider this service as part of their formal offerings. Therefore they do not take any responsibility of the quality of food neither the speed of such service. Sometime it can take a long time to get your food after you order. There are however plenty of restaurants and eateries located nearby and within the Mall area itself. During the high season, there are no discounts offered on the room rates, even for single occupancy. The rates for the deluxe, attic and heritage rooms during this time are in the higher side of the 2-star range. So value for money can be questioned although the hotel offers great location, nice rooms and good views. There is a third wing known as the Annex of Main Olde Bellevue which is located further down on Nehru road. It's an average budget hotel and offers rooms at a cheaper rate. Overall the service and maintenance need some improvement. 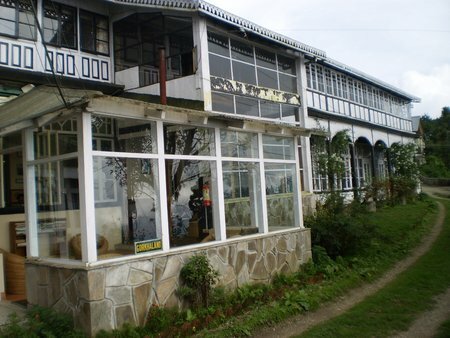 1) Check out Darjeeling Top 2 Star Hotels to know about the other great mid priced hotels.